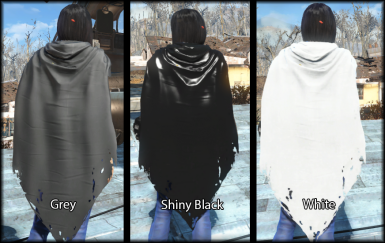 Wearable cape, uses ring or bandana slot. This mod is now open-source! You're free to do anything you want with it. Edit, modify, re-upload, add it to your own mod, whatever. No credit necessary, as this is a vanilla asset and I only simply added it as a wearable item. 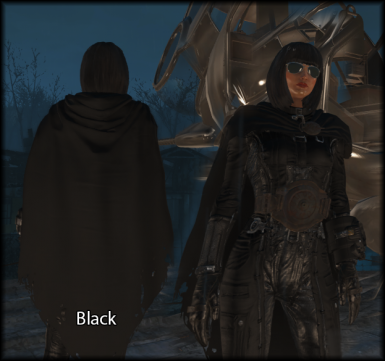 This mod lets you wear a cape, uses the ring slot or bandana slot. Ballistic Weave compatible. 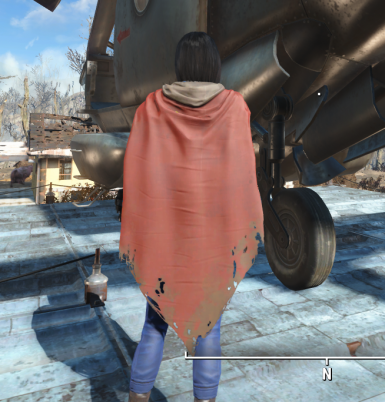 Found a cape model in the vanilla files that I don't believe is in game and created an .esp to make it wearable. 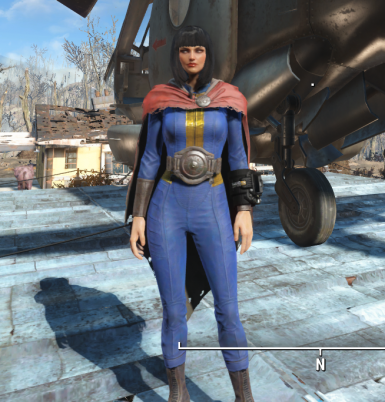 Minor issues: Clips through most clothing (best when used with vault suits, BOS uniforms, thin/no clothing), and elbows clip through when running. It's recommended that you use Nexus Mod Manager to install. 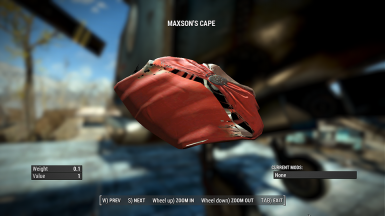 If you're doing a manual install, copy Maxson_Cape.esp from the Data folder to your Fallout 4 Data folder & enable it. 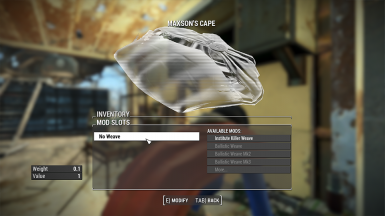 Old Textile Texture by M113 - A great and lore-friendly retexture for Maxson's Cape. Added an alternate version which uses the bandana slot instead of the ring slot. Fixed Grey retexture (was previously using default red texture). 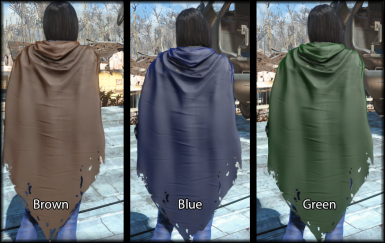 Added more colored retextures (Brown, Blue, Green). Added Black Retexture (had issues with specular map saving). Figured out how to hide the belt. 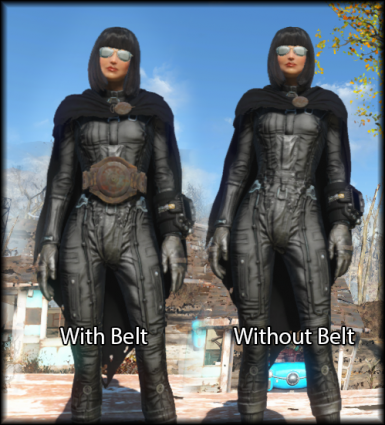 New "belt-less" retextures released. Released a fomod installer which includes all current color options. Dec 19: Version 1.2 includes all previous fixes, and changes slot to 56. M113's retexture included as an install option. Consolidate the retextures into a more manageable pack file.